How long will it take to receive my shirt/s? We’ll ship them to you within 3-10 business days (standard shipping). The delivery times provided by The Undercurrent are estimates only. The Undercurrent will not be held accountable for late deliveries or loss or damage relating to late deliveries. FREE shipping for standard shipping (3-10 business days, within Australia only). $15 for express shipping (next business day delivery, within Australia only). $20 for shipping for standard international shipping (delivery times vary for each country). 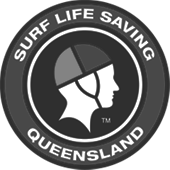 The Undercurrent proudly supports Surf Life Saving Queensland, donating $2 from every t-shirt sold.